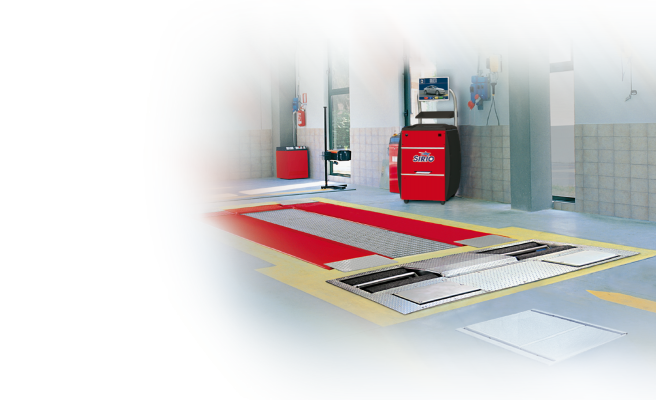 The Sirio test and diagnosis system for cars and light commercial vehicles sets today’s standards for professional operators and test centres. Developed with modularity and user-friendliness in mind, this system incorporates latest-generation equipment in conformity with applicable safety regulations and the laws governing the periodical testing of motor-vehicles in the various countries of the world. 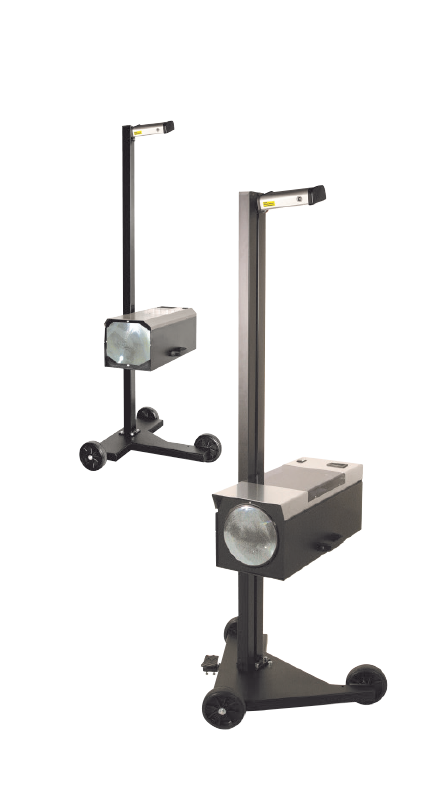 A broad range of accessories and standard options exist for expanding and personalising the system. The control unit represents the heart of the system. All the working units are linked to it. The control unit is available in two different models which differ only with respect to size and display monitor. The management software is extremely user friendly and graphics are very immediate and clear with Windows screen layouts. 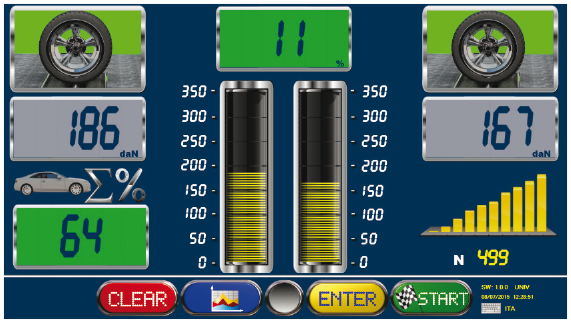 Thanks to the flexibility of the software, diverse operating mode options are available. 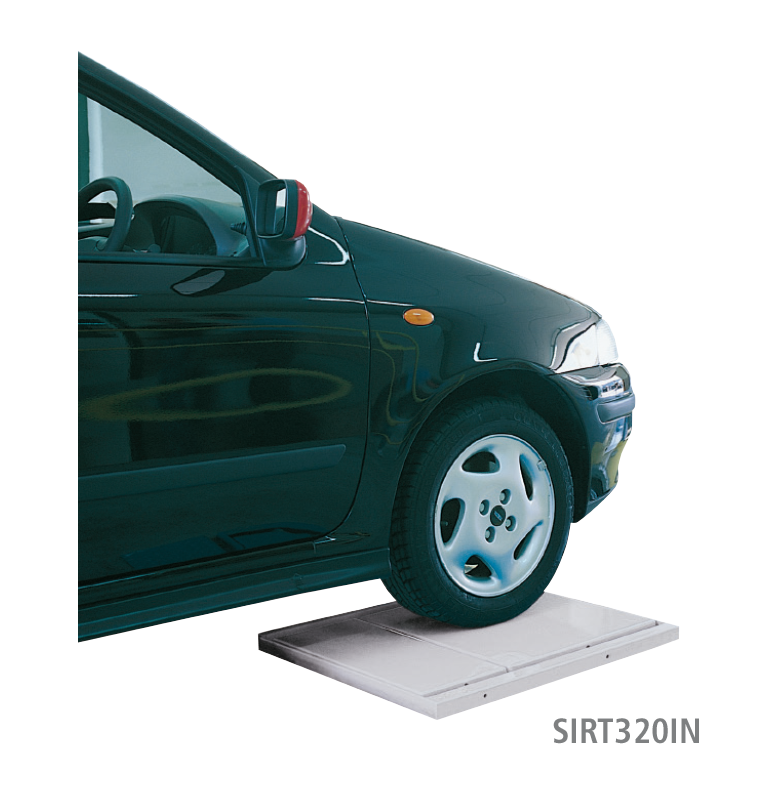 The SIRT202 vibration suspension tester is intended for determining the degree of motor-vehicle suspension efficiency by measuring grip using the EUSAMA method. This is based on an analysis of the force pattern transmitted by the tyre to the test plate during the vibration test, giving a value 100 to the static weight and measuring the force change percentage during the vibration cycle, with the suspension acting as a damper. 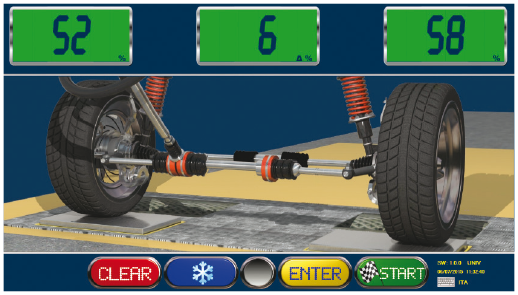 The grip measurement reading indicates the capacity of the suspension to maintain wheel-road surface contact in the most critical conditions. This unit consists of a measurement plate and a relaxation plate and ensures quick control of wheel alignment to determine any need for a more precise checkup on electronic wheel alignment equipment. This drive-over test determines the side slip of the wheel, by which is meant the side movement compared to an ideal straight course over a distance of 1 km. 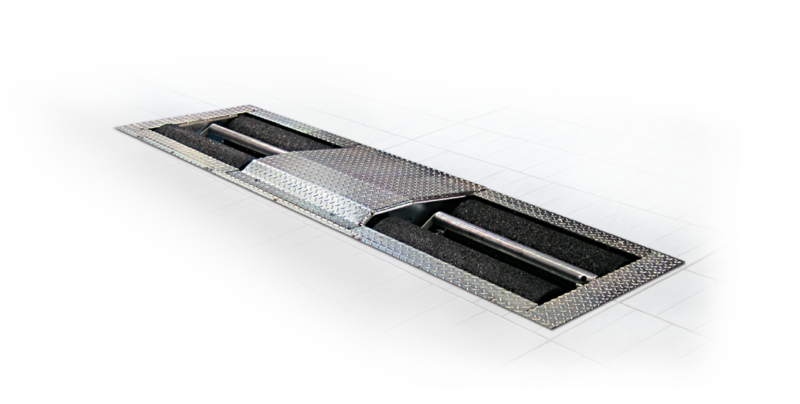 The purpose of the relaxation plate is to release any side forces already acting on the wheels, thereby ensuring the reliability and reproducibility of results. The large-size rollers with innovative silica-granule added resin coating ensure perfect grip in all test conditions and safeguard tyre wear. 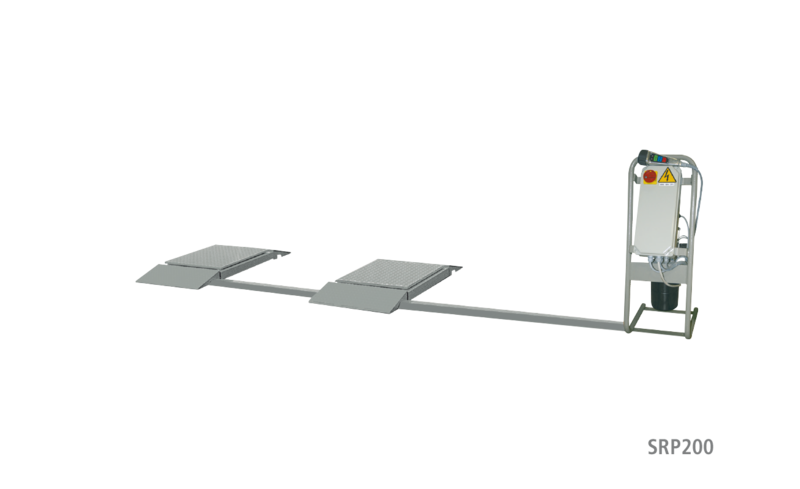 The low test speed and the contra-rotation option with adequate slip control make the unit suitable for vehicles with ABS braking systems and permanent 4-wheel drive.